The clouds were laying low on the mountains for most of my 2 day stay. At night I met a couple of Germans and a Swiss. 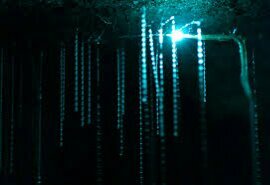 We went to a little hike near by that has glow worms. So cool! There’s also another trail with tunnels where you can see even more. I went with a Brazilian on our last night. It was spooky as we were the only ones at least that’s what we hoped. The tunnels have water so our shoes got wet, but it didn’t matter when we got to the end we saw heaps putting on a spectacular display. They have a circle in the middle of their belly that glows neon green to attract insects to its tentacles. Pretty cool! The clouds cleared that night and with the full moon we were able to see the white capped mountains. So beautiful and I’m thinking how cool would it be to skydive at night with a full moon. That’s next level. 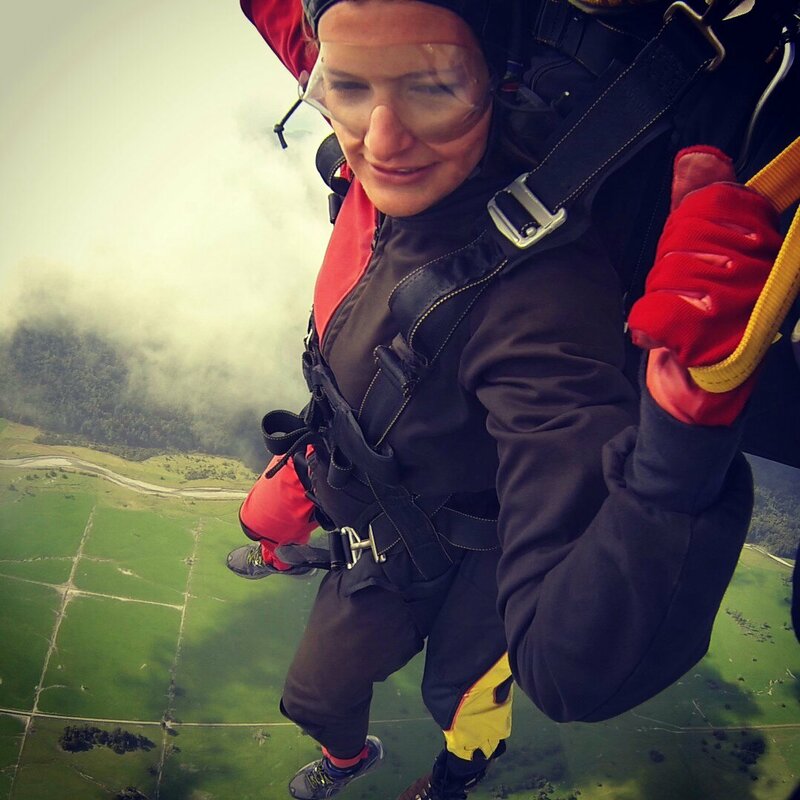 The first day I planned to sky dive the fox glacier. Bad weather conditions made me push it to the next day and even then the weather forecast wasn’t looking good. Luckily, I was able to jump at 16k feet. The view was incredible. 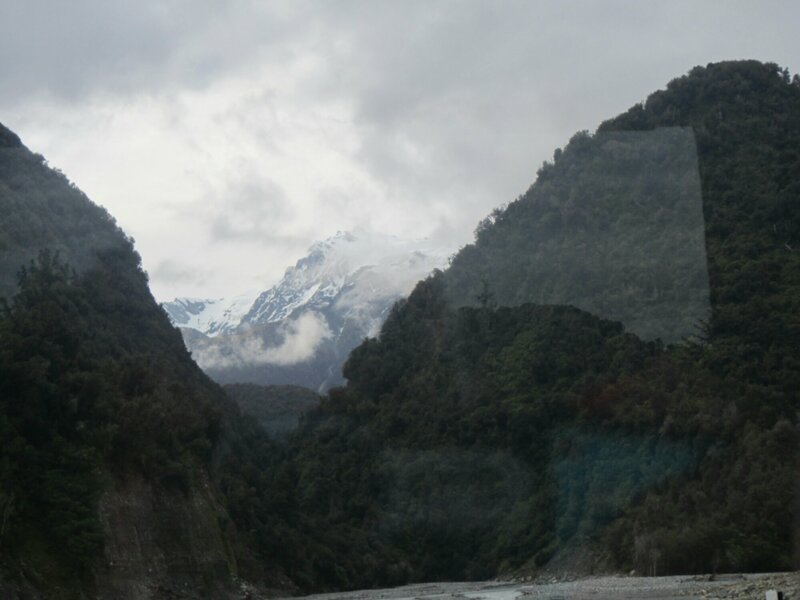 I could see the rain forest, very little of the glacier and the bright blue ocean. It was very cloudy, but it made it more dramatic. We landed on our bottoms because of my sore ankle. It was a super smooth landing. 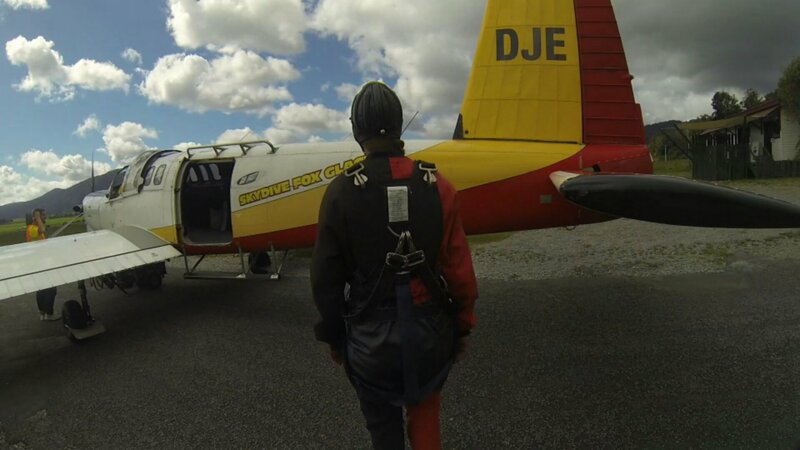 My tandem guide didn’t get the free fall on video so he gave me the pictures and video for free. I was kinda happy because there was a lot of snot action. Lol!! Hey, give me a break, I’m just getting over a cold. My face almost was frozen off. So when we landed it had coagulated on my cheeks, which made me super embarrassed as I tried scraping it off my face. Off to Queenstown to catch a bus to Milford sound for some kayaking action!